When I last posted I couldn’t share any ultrasound details because we hadn’t told our families the news yet, my husband wanting to keep things just between us for a few days. Now that time has passed and we’ve talked to our people, I’m free to share. 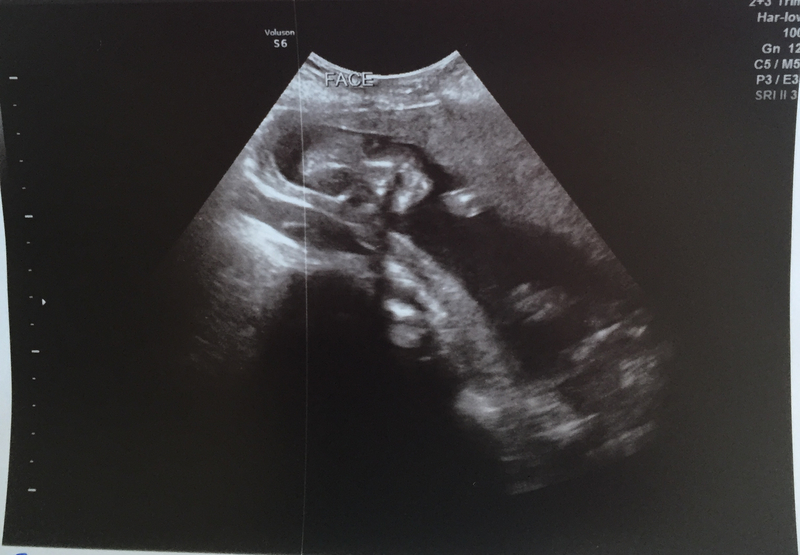 So here’s an extra-special late edition of the 17 week update with bonus ultrasounds! I must warn you, though, that 1) I am not sharing any photos of the twins’ downtown areas, because I figure as much as I overshare online, that’s one thing I can keep private for them, and 2) frontal views of a baby’s face on ultrasound are a little creepy and skeletal and ghostly, so brace yourselves for that. Well, you can’t really see much in that image, can you? I can’t either, and I had a tech with 30 years’ experience show it to me. What is even going on there? Here you can actually see some good detail. Isn’t she cute? Don’t you love that profile? Our Baby Girl A. Baby B spent most of the ultrasound moving and squirming around, making it difficult for the tech to get all the needed measurements. 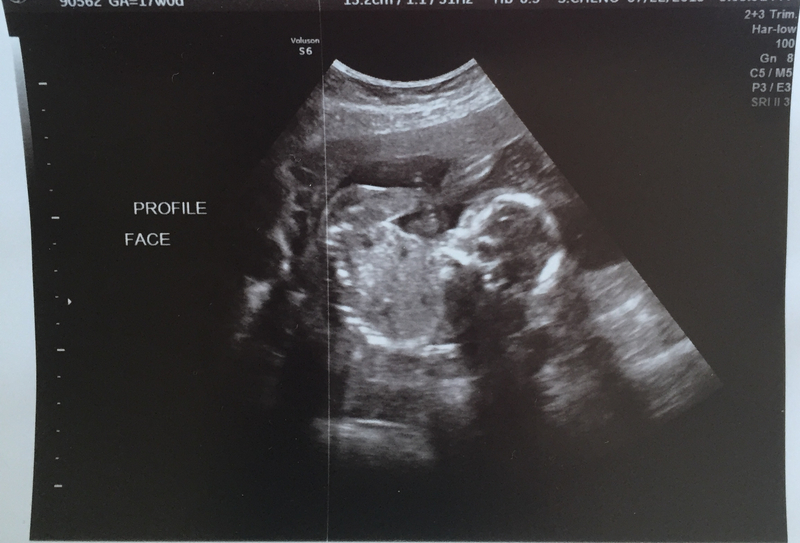 When he finally sat still, he was facing my spine, making it hard to get a profile image, but here’s his mysterious face, our Baby Boy B. So in the “Guess the Sexes” poll, 40% of you were correct. 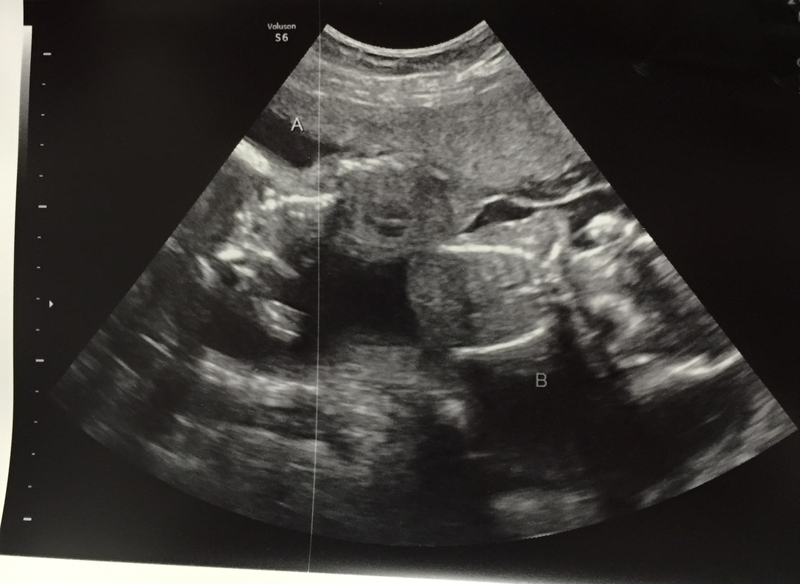 It’s a girl and a boy! A boy and a girl! A son and a daughter; a brother and a sister. We are thrilled. Baby Girl looks like a mermaid, & Baby Boy looks like a Jedi. Perfect!!! I mean, THEY CAN BE WHATEVER THEY WANT! But, well, Ariel & Obi Wan, I’m saying. Aaaaahhhh this is so exciting! Congratulations! And I guessed right! Strangely, I’m actually really good at guessing genders. In the last few years, I think I’ve only gotten one wrong out of at least 10. Oh, thank you for sharing that photographer’s account. I should add her to my IG! A boy and a girl, how exciting! Congratulations to you both.